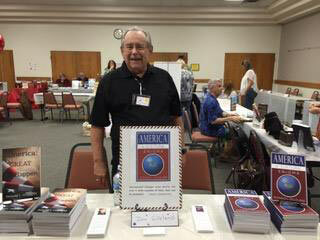 Donald Gilleland, a prolific author of over 500 published articles in a variety of nationally and internationally circulated magazines and newspapers, and five published books:America: A Cultural Enigma, about major changes in our society over the last 50 years, published in January 2014; America: Where Great Things Happen, about exciting things Americans have done that received little news media attention, Published in November 2014; America: An Exceptional Nation, about why he believes God has blessed America to be one of a few nations to provide hope for the world in the 21st century, published in July 2015; America A Conflicted Nation, about issues for which Americans hold both positive and negatives feelings at the same time; and Stars, Stripes and Corporate Logos, memoir that discusses evolving challenges played against a backdrop of exciting adventures that made up Don's life. Don knows what he is talking about when he writes about America. He has seen the changes with his own eyes. 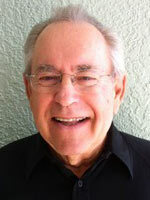 Donald Gilleland was born in 1935 and was raised in Alton, Illinois. He received a bachelor's degree in Communications from Southern Illinois University and earned a master's degree in Public Relations from Boston University. Don served 30 years in the U.S. military: 8 years enlisted in the Navy and 22 years commissioned in the Air Force. Seven of those years he served in joint assignments working for the Army, so he literally served with three major branches of the armed forces. His memoir, "Stars, Stripes and Corporate Logos," share many of his views and experiences he witnessed. After retiring from the military, Don worked for the LTV Aerospace and Defense Company for three years as director of public relations and advertising for its AM General Division in South Bend, IN. His principal focus there was introducing the U.S. Army's newest vehicle to the public: the High Mobility Multipurpose Wheeled Vehicle (HMMWV), often called a Humvee. From 1987 to 1994, he worked for General Dynamics Corporation where he served for seven years in Sterling Heights, Michigan as director of communications for its Land System Division, which builds the Abrams Main Battle Tank. Later he served at the corporate headquarters in Falls Church, Virginia as corporate director of public affairs, where he was responsible for worldwide news media relations until he retired in 1994. P olitically independent, Don is a frequent contributor to Florida Today and TC Palm, both daily Florida newspapers, and Vero's Voice, a monthly community magazine published in Vero Beach, FL. 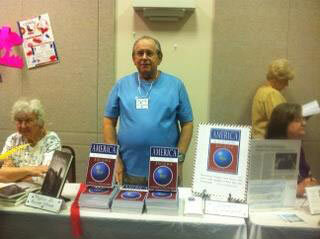 Don has visited 35 countries on five continents, and he and his wife, Peggy, have lived in 12 states. They presently reside in Melbourne, FL. They have been married for 59 years. He is an Evangelical Christian who serves as an usher at the Calvary Chapel Melbourne/Viera church located in Viera, Florida.